Posted on June 7, 2013 by livesimply.loveextravagantly. We are back on American soil for a couple of weeks and enjoying our family and friends so much! We are so thankful for the time that we have to maintain those relationships and catch up with everyone. 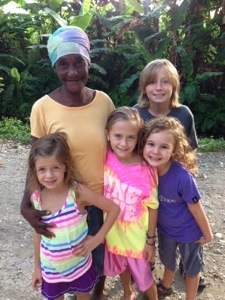 But we miss Haiti…like, we really miss it. 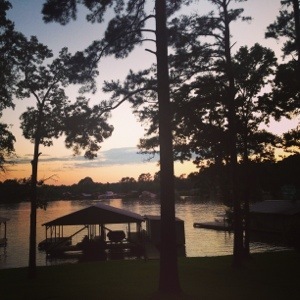 Last night we arrived at my aunt and uncle’s lake house and a sense of peace washed over me. This place is so peaceful and so beautiful. And it holds so many amazing memories from my childhood until now. Our family tries to come here at least once a year to get away and enjoy God’s creation. This year means so much more to us than any other year…a much needed time of respite for our souls. Ministry work is incredible, living in Haiti has been amazing (we miss it so much and are ready to go back), and we cling to what the Lord continues to teach us daily. But there are times that we need to refuel, rest, and just relax. The next couple of days is our opportunity and we are so thankful. Thank you God for this beautiful masterpiece. We will not take for granted the beauty of Your creation and the time that you give us to purposely rest and refuel.